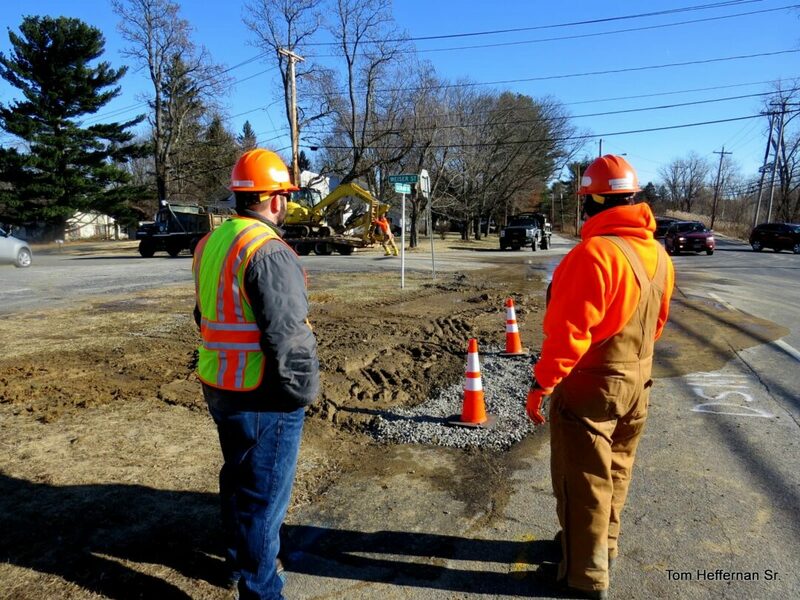 GLENMONT — A water main break occurred at around 9:30 a.m. on Saturday, Jan. 12 by the intersection of Glenmont Road and Route 9W. Happening in front of the Selkirk Fire Station #2, it affected people all the way down River Road to the CITGO Petroleum Corporation plant. Bethlehem’s Water Division helped remedy the situation and the water was back on by 12 p.m.
For any further similar issues or more water-related information, residents are encouraged to call the Water Division at 518-439-4955, option 4, or visit https://www.townofbethlehem.org/181/Water-Division.